At Kindred Care Pet Hospital in Richmond, we offer a range of pet care services to pets in the area. Our preventative care and expert treatment of cats and dogs in Richmond can help your pet avoid serious illnesses and stay healthy. Below are some of the most important pet care services we provide. Vaccinations are an important part of disease prevention for pets. Vaccinations help your pet develop antibodies to fight off specific types of bacteria and viruses. At Kindred Care Pet Hospital, we offer core and non-core vaccines to pets in the area. Core vaccines, like the rabies vaccine, are vaccinations that are offered to all pets regardless of their lifestyle. Non-core vaccines are vaccinations that are only given to pets who are at risk for certain illnesses, like Bordetella bronchiseptica. We help pet owners track which vaccines are right for their pet, and we also rack the vaccination schedule to ensure that our patients get the right shots at the right times. If your pet needs vaccines call our pet vaccination clinic in Richmond, TX today! Pets need to have their teeth cleaned, just like people. 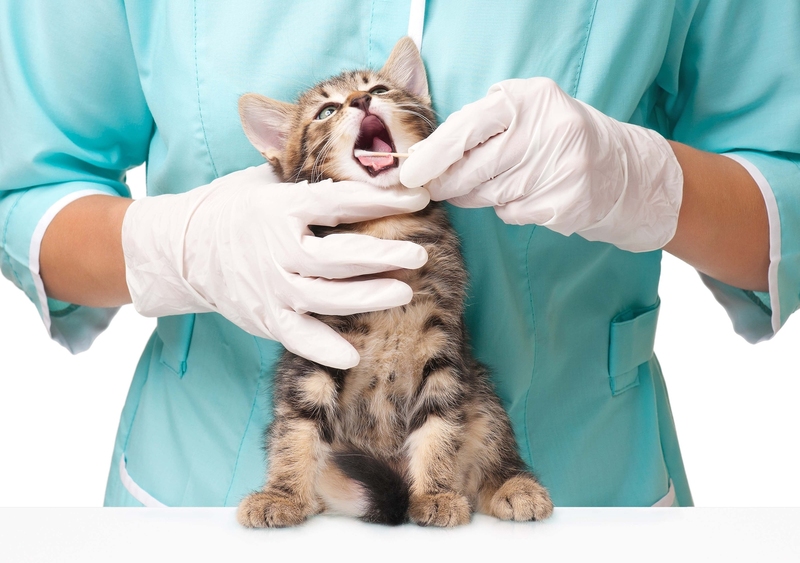 As a Richmond veterinarian, we examine pet teeth to ensure that our patients have clean, healthy teeth. We also work with pet owners to show them how to clean their pet's teeth at home. Pets who get their teeth brushed properly in their own homes may be less susceptible to cavities, gum disease, infections and other problems. Teeth cleaning. We clean pet teeth to remove plaque and polish the enamel. This helps prevent cavities and can keep your pet's breath smelling good. Cavity filling. Our Richmond vet can fill cavities to help ensure the health of your pet's teeth and to prevent tooth infections. Tooth extractions. When a tooth cannot be saved, we help remove the tooth to prevent the spread of infection. Our spaying and neutering services are important for controlling the pet population and keeping pets off the streets. In addition, if done early enough in life, spaying and neutering can help protect your pet from a variety of diseases that can affect the reproductive system later in life. Spaying and neutering can also help control your pet's behavior and prevent your pet from spraying urine around the house. For more information about spaying and neutering and how your pet can benefit, talk to your pet's Richmond veterinarian. We use our state of the art diagnostic tools, radiology and an in-house laboratory to diagnose your pet when he or she is injured or suffering from an internal condition. To make an appointment with your pet's veterinarian in Richmond, contact us today at 281-265-0009.